Hamilton, Ontario’s Tim Gibbons is an eclectic roots artist. He is an experienced and accomplished musician who has worked on a variety of projects and styles, but roots music is his forte. On this CD he has shifted from banjo as his primary instrument to the electric guitar. He takes a bayou approach to his music and there is a distinct swampy-ness to his approach that belies his Canadian roots. 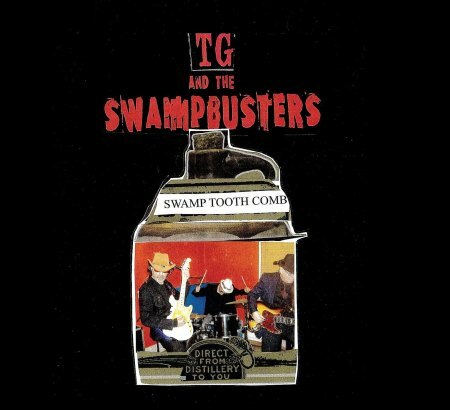 Tim Gibbons leads the band and is joined by Swampy Joe Klienfeltr on bass and Patch on drums for this CD of nine original cuts. The sound is very much out of the bayou. On the vocals Tim takes a gritty and almost minimalist approach. The guitar work is also not over the top; it blends with the overall sound, a slow delta sort of groove. Even when there is a big solo one can sense restraint- there is no desire or need for over the top histrionics. Laid back and cool seems to be their mantra. “Bayou Preacher” opens the set. Gibbons begins to pick a little and lets out a groan before the guitar and greasy harp (no credits anywhere for the harp but it must be Gibbons as he plays a plethora of instruments) come in. A gutsy vocal begins and it sets the hook. An impressive opening cut. “Who Wants To Dance w/an Old Ding Dong?” is a slick little boogie. Gibbons wails and whines while picking out the lead on his guitar. The harp interplays with the guitar as Gibbons lets it a bit loose; the restraint is still evident. Next up is “Hey Poor Boy Hey” where TG bemoans being a poor boy. “The Brooder” opens with nice guitar licks. I was waiting for Gibbons to go off but he remained in line and this country rocker with a deep bass line just grooves along. My head was bobbing all the way through. “Country Side of Town” begins with a deep bass line with a little guitar laid over it. Gibbons gets into the first verse and chorus as we visit his country side of town. The tune builds as the drums and guitar sound gradually increase their presence. It’s a slow country rocker with a bluesy overtone. “Cornpone” is the story of a young country boy who works by day and pleases the ladies by night. The swamp groove and harp are done well and Gibbons vocals are solid. “Hot Money” follows. Showing restraint, we have more of that half-baked swamp country sound with nice harp and guitar again. Next we have “Play Me Some Blues & Keep It Country” where Gibbons gives us some straight up, laid back blues. He closes with “The Bone of Contention;” it’s sort of “Dire Straits visit the swamp” in it’s approach. Another good cut, demonstrating Gibbons approach and roots. My only bone of contention with this album is that the tempo and tone of all the songs is the same. It’s not slow, it’s not fast, it’s unhurried and it does not vary in tempo and mood very much. That is the lone fault I see. 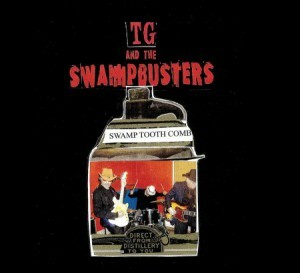 I liked all the songs and TG and the Swampbusters are a cool band. I just wish they’d have let it all hang out on a couple of tunes. The slow songs are close to the fast one in tempo, so you kind of feel that the groove starts with the first song and ends with the last one. Despite that complaint, this is a solid record. Musically, Tim Gibbons has the country bayou blues sound down, giving authentic and convincing performances. The back line offers the same restraint in their approach as Gibbons and compliment well what Gibbons is leading with. If you like music from the bayou, this one with a Canadian twist will interest you. Get you alligator head out and groove to the beat!